Since more than 25 years VJ AliK is in the electronic event technic business as a lighting-operator and “visual decorator”. Starting with analog lighting systems he was one of the first lighting operators with a digital mixing-console. On a tour with the famous german Band “Die Fantastischen Vier” he had contact with a “Varylight”-System, the first moving-head-system invented by Genesis. 5 Years later every band had the moving-heads in their show, so had AliK. But as times are changing also moving-heads went old fashioned, means “boring”. At a concert of Andy Y he met Swen Seyerlen (VJ R:A:U:L) who made the live-visuals and AliK was fascinated by this new technic. To make it short, AliK and Swen found out that they have the same interests in lighting and visualization. After working together on some disco-shows, Swen took Alik to Mannheim where the B-Seite-Festival was organized. AliK joined the festival and is now a member of the core-team organizing the annual festival. 2010 Swen, AliK and Benni Jantzen, the founder of B-Seite, startet their own business under the name “Lichtinatallationen”, a new-media-agency witch is specialized in projection mapping and LED-Lighting. also called Aude Rrose is multi-disciplinary artist living between Paris and Berlin, working with performance, photography, sound and live video. She regularly presents her video performances in international festivals. Her imagery plays with narrative structures, developing dreamy and intimate universes, exploring various forms of interplay between body, images in motion, deconstructive narrations and self-mythology. Her performances articulate live scenography protocols integrating video as an environment medium, often using real-time camera feedback, considering the black box as a possible oneiric space, where sounds and images communicate in a poetic and narrative journey. an electronic art assembly with a production house based in The Netherlands. Specialized in video mapping, motion graphics and audio visualization. We focus on ambient media in the production of stage performances and installations, an audiovisual netlabel, FREEMOTE festival and creative events. Koenst & Bas K. members of the Born Digital crew will perform with a live AV set: Spatial Patterns. has formed as photographer and director, and she works transversally in several areas moving between vjing, video art and documentary. 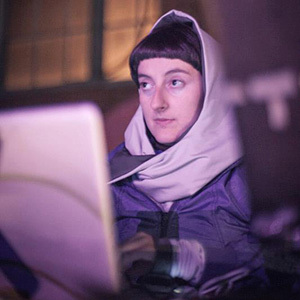 Vjing is closely related to her work as a filmmaker and video artist, and it becomes the field of constant experimentations, allowing her to develop new narrative languages and stylistic codes. As a vj she has worked with some of the biggest names in the international electronic music scene such as Jeff Mills, Carl Craig, Miss Kittin, 2ManyDJs, Ricardo Villalobos, Laurent Garnier, Jon Hopkins and Thomas Fehlmann. Elwira Wojtunik and Popesz Csaba Láng :: Polish-Hungarian duet of visual artists, also known as Elektro Moon Vision founded in 2004 in Budapest. They design unique visual live-acts based on live experiments with the video surface, wide-format projections, mappings, audiovisual performances, interactive video-installations or video projections for theatre shows. The duet is regularly invited to participate in international events presenting new media art e.g. ArtMuse, sound:frame in Vienna,CHB in Berlin, LPM in Rome, VJ Fest in Istanbul, in Poland Digital_ia, FreeForm Festival, Selector or Narracje in Gdańsk. Their installations were exposed at the Salon-Projektionist VJ-art gallery, MuseumsQuartier in Vienna and Akarenga Soko Gallery in Yokohama, Japan and the 14. Media Art Biennale WRO 2011 in Wroclaw. Their experimental ‘NZ/X’ was awarded in the frames of the Chopin Year competition by Warsaw Electronic Festival and ‘Zachęta’ Nationally Gallery of Art in Poland and ArtMuse in Bocholt, Germany. They were granted with Artist-in-Residence program of MuseumQuartier in Vienna completed with an exhibition at Electric Avenue (MQ). Founders of Share:Krakow, unit of global organization dedicated to supporting collaboration and knowledge exchange in new media communities. 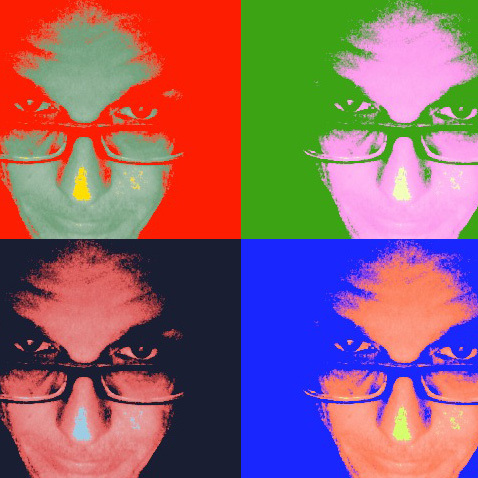 visual artist, photographer, video designer and producer. The winner of VJ Torna Championship 2011 during Live Performers Meeting Mińsk edition. 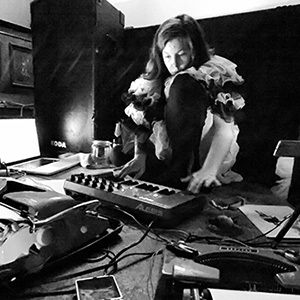 Vj and a/v sets are based on various video projects of her own authorship. She experiments with light, self made scenography elements and stylisation. The visual character of her productions is very minimalistic and pure. Visual message is strongly connected to emotional states of human being. For one and a half year she regulary cooperated with Czwórka Polish Radio HDTV, creating real-time vj sets for music programs. 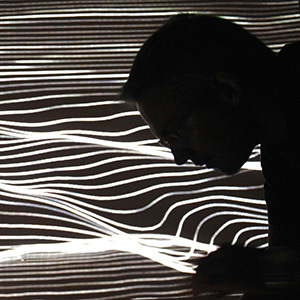 Emiko’s vj and a/v projects accompany many of events in Poland and Europe. Currently working as a Motion Graphic Designer, teacher and VJ doing visuals for special events, concerts and clubnights. She loves interdisciplinary projects where she can collaborate with other visual artists, musicians and dancers. She is involved with a foundation called Radio Kootwijk Live, we are developing concerts for classical music, making visual performances on location where we explore new forms of interaction and ways of reaching the audience. Originally specialized as a visual effects artist and have experience, with concept design and motion graphics design and working in post-production with 3D displays where you can see 3D without glasses. Warsaw duo IM2 (I’m too) describe themselves as m u l t I m e d i a h e r m p h r o d i t e. The top achievement of moony & mr.i in partnership of both sexes. Music and Image, Him and Her, Yin and Yang – like complementary forces in the area of multimedia. 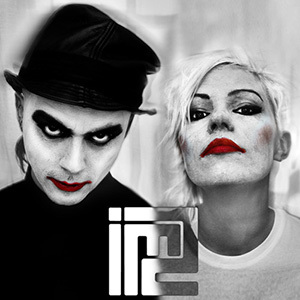 IM2 creates electronic music, while not turning away from its roots that go much deeper. moony& mr.i are children of punk, but also admit to such inspirations as Dead Can Dance, Cocteau Twins, but also to darker tones from the sign of the Bauhaus and Joy Division. Under the nick of moony hides a multimedia artist. Graphics, animation, digital photography is a digitized world of moony, which mixes these concepts with inherited lightness. Moving images, which are an integral part of theatrical performances – takes the audience into the v i s u a l IM2 world. The music they play is called – e g o d i s c o. Their performances are real electro shows, filled with expressive movement, charismatic and spontaneous vocal and colorful, live-mixed visuals. On stage there is no denying of their temperaments, they love to attract attention and to feel the audience’s excitement. 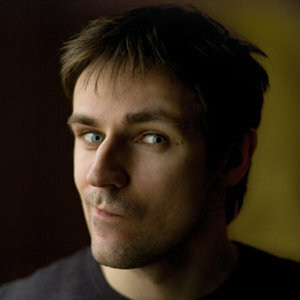 (Tobias F. Last) an explorer in the wide aestetic fields between live-visualism and media arts. 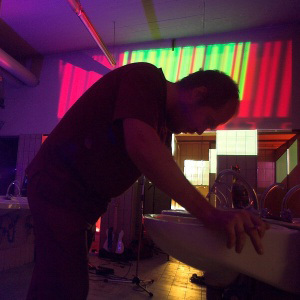 He has been experimenting with live-video since the late 1990s and worked as a VJ in Berlin since 2004. He is one of the founders of the VisualBerlin video arts association and has always been very keep to bring video artists together for collaborative projects and to push live visuals into new directions and perceptions. 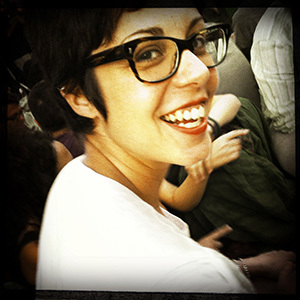 Flux has worked in various collaborative projects and collectives. Besides doing video and media arts Kiritan Flux earns his living as a cultural manager, web-developer, graphics designer and video-animator in the Berlin based bureau for culture and project development, kopiloten. 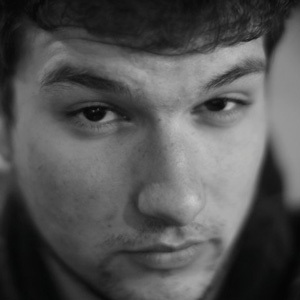 Born in 1988 in Krakow. He has graduated from Intermedia and Media Activities workshop at Jan Matejko Academy of fine Art. 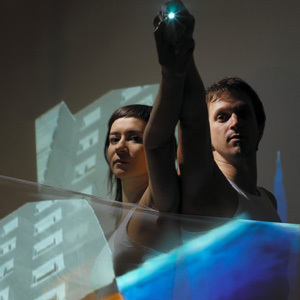 Works in the fields of mapping, video, installation, interaction, movement and design. Organizes, from scratch, many exhibitions and audio-visual performance. Professionally involved in retouching video and visual effects. He is trying to connect and explore all of the various codes of visual communication and their ability to process in order to apply them in specific urban spaces and exhibitions. Within the flexibility of visual language he creates multi-dimensional modern installations. Co-funder of VIDMO Group (vidmo.com.pl) and krakoff.tvplatform. musical project from Poland chiefly, revolves around experimental hip-hop and electronic. In 2011 released album White Mice in Asfalt Records (one of the most prestige hip-hop label in Poland) on vinyl and extra on a cd. In the material we can find always changing proportions – sometimes hip – hop is going into back stage and it is covered by some different motives, and in the other time it is dominating. Minoo has been bound up with many organizations related to art in Poland. Apart from being involved in to a musical career, the Minoo project deals with organizational matters and gives a unique radio broadcast.He supported The Five Corners Quintet (Freeform Festival), Flying Lotus(Nowamuzyka Festival) and many others.His live acts attempt to join glitch with modern electronic sound based on hip-hop bits (with elements of dubstep, glitchhop). 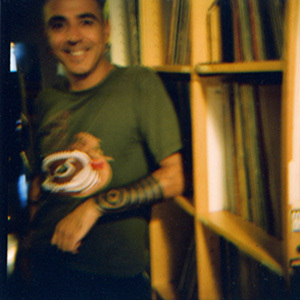 Omnidrive’s sound has evolved from London’s acid house, moving towards German trance and English techno, typical of the mid ’90s; from rave parties to clubs, the musical choice has refined with house french touch, percussive rhythms, deep sounds of Canadian and American west coast dub house. His record bag has become richer with the new electro/acid trends, big on the northeuropean dancefloors. All these infuences find space in Omnidrive sets, talented with great sensibility towards the feeling created with the public, important part of his performances. 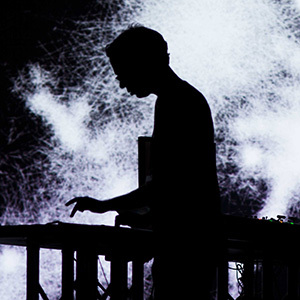 an American-born composer, electronic musician, and live visualist based in Berlin. 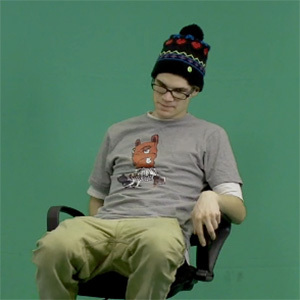 He is founder and editor of createdigitalmusic.com and createdigitalmotion.com and co-producer of the open-source MeeBlip hardware synthesizer, as well as an author on technology and creation (Macworld, Keyboard, Wax Poetics, Computer Music, Make, Popular Science). His work has been presented at venues including the Frequency Festival (Lincoln, UK) CommuniKey Festival (Boulder, CO), Devotion Gallery (New York), In/Out Festival (New York), InterAccess Gallery (Toronto), Dance Theater Workshop (New York), Boston CyberArts Festival Ideas in Motion (Boston, MA), FEED Soundspace (Berlin), LEAP Gallery (Berlin), Stereoluxe (Nantes, FR), Frequency Festival (Lincoln, UK), LPM (Rome, IT), and others. 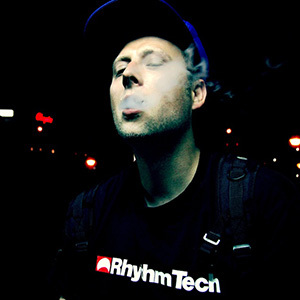 shows his “sound reactive” performances, programming and installation talent for over 12 years as VJ R:A:U:L: at various clubs, festivals and events. He experienced visual heydays in clubs such as SUITE212, CINE COLIBRI or Rocker 33 in Stuttgart. 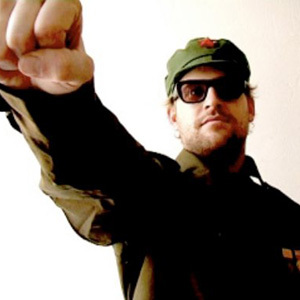 His one-man VJ show stayed in Cologne, Hamburg, Mannheim, Berlin, or even for a whole week on the CAMP.DESERTVIEW.2005 and 2006 in Morocco. Having grown up with different music tastes, he is open to almost any music genres. As a VJ he combines his passion for music with his creativity, design and art style. 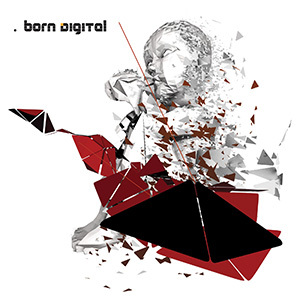 He has visualized top-class live bands (MADCON, Zascha Moktan, THE BLISS, YE: SOLAR) as well as DJs like CARL CRAIG, Paul Kalkbrenner, Etienne De Crecy, RAINER TRÜBY, FAUNA FLASH, INVERSE CINEMATICS, VIENNA SCIENTISTS, DUBLEX INC., PHATS & SMALL).VJ R:A:U:L: has found its own visual style, by mixing videos, 3D animations, graphics, sound reactive programming and its rousing live performance to unique light shows which he describes as “ONBEAT VISUALS” or “OPTICAL LSD.” Currently, he works with a self-patched VJ tool in vvvv, establishes LICHTINSTALLATIONEN.COM as a new media agency specialized in projection mapping and modern LED light programming or organizes as a director and VJ pioneer the Mannheim based B-Seite festival. The goal is always to unite the event, the audience and the DJs with the most modern means of Club Lighting – the VISUALS. And it works – at small clubs and large dance floors. VJ since 2005. He played in smaller regional clubs as well as at bigger european events. His style is very spontaneous, creating the visuals as a kind of generative performance live at the event with his preferred instrument, the Textmachine3D software. As member of Jetztkultur group he is one of the organisers of the yearly recurring B-Seite Festival in Mannheim Germany. He usually does much of technical stuff there, but in his heart beeing a visualist he also has done work and conceptions in several theater-, stage- and exhibition-projects over the years. daily – film/animation freelancer, after hours – keeps toying with vjing and broadly spoken media arts. During working hours, enjoys chaos and dirt as well as an exquisite detail. His work happened to be exhibited at National Museum in Krakow. Organizer of the first BYOB in Krakow.